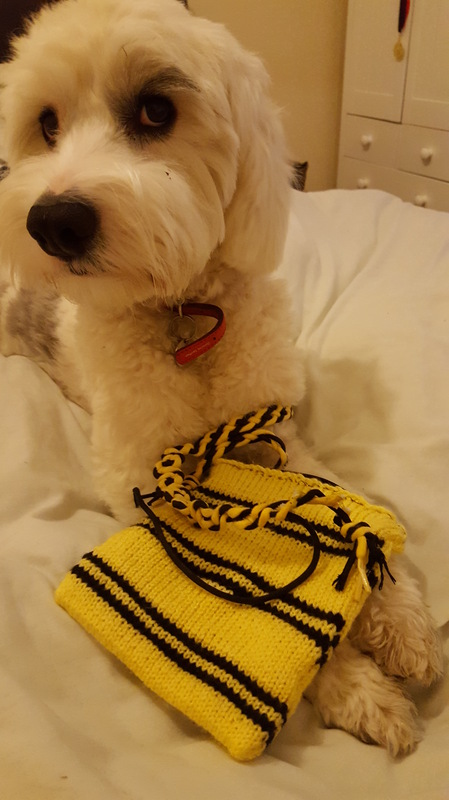 I’m fairly new to knitting and craftiness in general but considering this was one of my first attempts at ‘making’ I’m quite proud of this little Harry Potter inspired creation. I ended up making two versions due to my dog’s liking for chewing shoe laces! I wanted to wear my bag cross body so that it sat in front of my hip. However, the handle in the version above was too short to allow that. 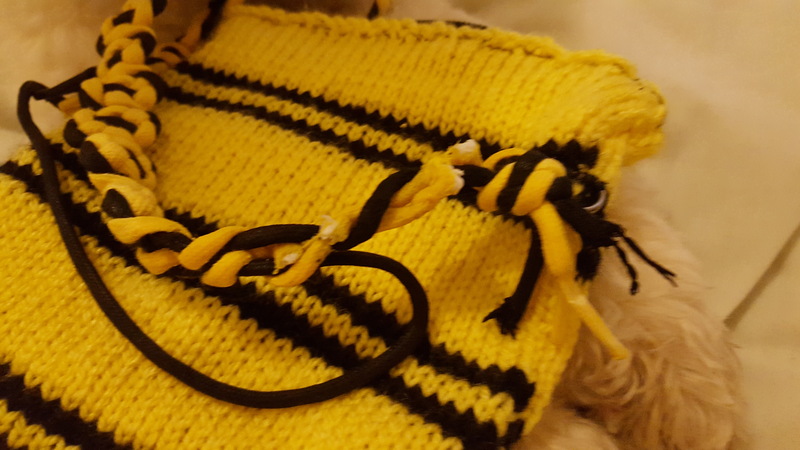 My dog is either a Slytherin and doesn’t like Hufflepuff or just helped me to decide that I needed a longer handle by chewing the laces up and destroying the strap. 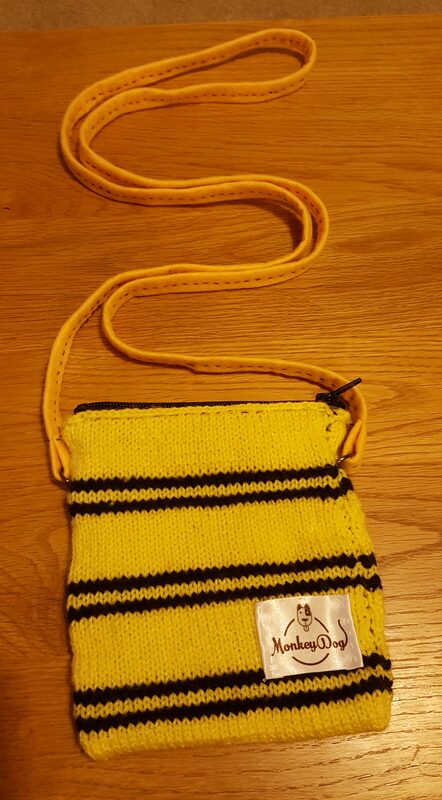 So I made myself a longer handle out of yellow felt. 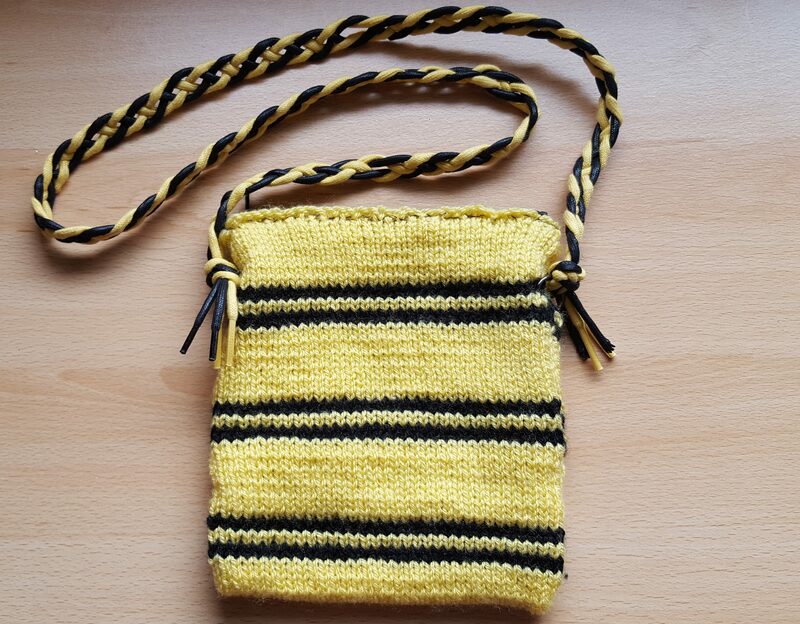 I can’t wait to wear my new handmade Hufflepuff bag. I just hope the dog doesn’t get to it first!